^ a b c d e f g h i j k l m n o p q r s t u v w Singh, Amandeep (July 2010). “Pediatric Emergency Medicine Practice Acute Gastroenteritis — An Update”. Emergency Medicine Practice 7 (7). http://www.ebmedicine.net/topics.php?paction=showTopic&topic_id=229. ^ Tate JE, Burton AH, Boschi-Pinto C, Steele AD, Duque J, Parashar UD (February 2012). “2008 estimate of worldwide rotavirus-associated mortality in children younger than 5 years before the introduction of universal rotavirus vaccination programmes: a systematic review and meta-analysis”. The Lancet Infectious Diseases 12 (2): 136–41. doi:10.1016/S1473-3099(11)70253-5. PMID 22030330. ^ Marshall JA, Bruggink LD (April 2011). “The dynamics of norovirus outbreak epidemics: recent insights”. International Journal of Environmental Research and Public Health 8 (4): 1141–9. doi:10.3390/ijerph8041141. PMC: 3118882. PMID 21695033. https://www.ncbi.nlm.nih.gov/pmc/articles/PMC3118882/. ^ Man SM (December 2011). “The clinical importance of emerging Campylobacter species”. Nature Reviews. Gastroenterology & Hepatology 8 (12): 669–85. doi:10.1038/nrgastro.2011.191. PMID 22025030. ^ a b c d e f g h i j k l m n Eckardt AJ, Baumgart DC (January 2011). “Viral gastroenteritis in adults”. Recent Patents on Anti-infective Drug Discovery 6 (1): 54–63. PMID 21210762. ^ a b c d e f g h i Webber, Roger (2009). Communicable disease epidemiology and control : a global perspective (3rd ed.). Wallingford, Oxfordshire: Cabi. p. 79. ISBN 978-1-84593-504-7. http://books.google.ca/books?id=pZ9fpHtvOGYC&pg=PA79. ^ a b c d e Galanis, E (2007 Sep 11). “Campylobacter and 細菌性 gastroenteritis.”. CMAJ : Canadian Medical Association 177 (6): 570–1. doi:10.1503/cmaj.070660. PMC: 1963361. PMID 17846438. https://www.ncbi.nlm.nih.gov/pmc/articles/PMC1963361/. ^ a b Meloni, A; Locci, D, Frau, G, Masia, G, Nurchi, AM, Coppola, RC (2011 Oct). “Epidemiology and prevention of rotavirus infection: an underestimated issue?”. The journal of maternal-fetal & neonatal medicine : the official journal of the European Association of Perinatal Medicine, the Federation of Asia and Oceania Perinatal Societies, the International Society of Perinatal Obstetricians 24 Suppl 2: 48–51. doi:10.3109/14767058.2011.601920. PMID 21749188. ^ a b c d e f Tintinalli, Judith E. (2010). Emergency Medicine: A Comprehensive Study Guide (Emergency Medicine (Tintinalli)). New York: McGraw-Hill Companies. pp. 830–839. ISBN 0-07-148480-9. ^ a b c Elliott, EJ (2007 Jan 6). “Acute gastroenteritis in children.”. BMJ (Clinical research ed.) 334 (7583): 35–40. doi:10.1136/bmj.39036.406169.80. PMC: 1764079. PMID 17204802. https://www.ncbi.nlm.nih.gov/pmc/articles/PMC1764079/. ^ a b c d Szajewska, H; Dziechciarz, P (2010 Jan). “Gastrointestinal infections in the pediatric population.”. Current opinion in gastroenterology 26 (1): 36–44. doi:10.1097/MOG.0b013e328333d799. PMID 19887936. ^ Dennehy PH (January 2011). “Viral gastroenteritis in children”. The Pediatric Infectious Disease Journal 30 (1): 63–4. doi:10.1097/INF.0b013e3182059102. PMID 21173676. ^ a b c d e f g Webb, A; Starr, M (2005 Apr). “Acute gastroenteritis in children.”. Australian family physician 34 (4): 227–31. PMID 15861741. ^ Desselberger U, Huppertz HI (January 2011). “Immune responses to rotavirus infection and vaccination and associated correlates of protection”. The Journal of Infectious Diseases 203 (2): 188–95. doi:10.1093/infdis/jiq031. PMC: 3071058. PMID 21288818. https://www.ncbi.nlm.nih.gov/pmc/articles/PMC3071058/. ^ Nyachuba, DG (2010 May). “Foodborne illness: is it on the rise?”. Nutrition Reviews 68 (5): 257-69. doi:10.1111/j.1753-4887.2010.00286.x. PMID 20500787. ^ a b Charles, RC; Ryan, ET (2011 Oct). “Cholera in the 21st century.”. Current opinion in infectious diseases 24 (5): 472-7. doi:10.1097/QCO.0b013e32834a88af. PMID 21799407. ^ Moudgal, V; Sobel, JD (2012 Feb). “Clostridium difficile colitis: a review.”. Hospital practice (1995) 40 (1): 139-48. doi:10.3810/hp.2012.02.954. PMID 22406889. ^ Lin, Z; Kotler, DP; Schlievert, PM; Sordillo, EM (2010 May). “Staphylococcal enterocolitis: forgotten but not gone?”. Digestive diseases and sciences 55 (5): 1200-7. PMID 19609675. ^ a b Leonard, J; Marshall, JK, Moayyedi, P (2007 Sep). “Systematic review of the risk of enteric infection in patients taking acid suppression.”. The American journal of gastroenterology 102 (9): 2047–56; quiz 2057. doi:10.1111/j.1572-0241.2007.01275.x. PMID 17509031. ^ a b c d Escobedo, AA; Almirall, P, Robertson, LJ, Franco, RM, Hanevik, K, Mørch, K, Cimerman, S (2010 Oct). “Giardiasis: the ever-present threat of a neglected disease.”. Infectious disorders drug targets 10 (5): 329–48. PMID 20701575. ^ Grimwood, K; Forbes, DA (2009 Dec). “Acute and persistent diarrhea.”. Pediatric clinics of North America 56 (6): 1343–61. doi:10.1016/j.pcl.2009.09.004. PMID 19962025. ^ Lawrence, DT; Dobmeier, SG; Bechtel, LK; Holstege, CP (2007 May). “Food poisoning.”. Emergency medicine clinics of North America 25 (2): 357-73; abstract ix. doi:10.1016/j.emc.2007.02.014. PMID 17482025. ^ Steiner, MJ; DeWalt, DA, Byerley, JS (2004 Jun 9). “Is this child dehydrated?”. JAMA : the Journal of the American Medical Association 291 (22): 2746–54. doi:10.1001/jama.291.22.2746. PMID 15187057. ^ a b c Warrell D.A., Cox T.M., Firth J.D., Benz E.J., ed (2003). The Oxford Textbook of Medicine (4th ed.). Oxford University Press. ISBN 0-19-262922-0. オリジナルの2012年3月21日時点によるアーカイブ。. https://web.archive.org/web/20120321002102/http://otm.oxfordmedicine.com/. ^ a b c World Health Organization (December 2009). “Rotavirus vaccines: an update”. Weekly epidemiological record 51–52 (84): 533–540. http://www.who.int/wer/2009/wer8451_52.pdf 2012年5月10日閲覧。. ^ Giaquinto, C; Dominiak-Felden G, Van Damme P, Myint TT, Maldonado YA, Spoulou V, Mast TC, Staat MA (2011 July). “Summary of effectiveness and impact of rotavirus vaccination with the oral pentavalent rotavirus vaccine: a systematic review of the experience in industrialized countries”. Human Vaccines. 7 7: 734–748. doi:10.4161/hv.7.7.15511. PMID 21734466. http://www.landesbioscience.com/journals/vaccines/article/15511/?nocache=1111012137 2012年5月10日閲覧。. ^ Jiang, V; Jiang B, Tate J, Parashar UD, Patel MM (July 2010). “Performance of rotavirus vaccines in developed and developing countries”. Human Vaccines 6 (7): 532–542. PMID 20622508. http://www.landesbioscience.com/journals/vaccines/article/11278/?nocache=531156378 2012年5月10日閲覧。. ^ Patel, MM; Steele, D, Gentsch, JR, Wecker, J, Glass, RI, Parashar, UD (2011 Jan). “Real-world impact of rotavirus vaccination.”. The Pediatric Infectious Disease Journal 30 (1 Suppl): S1-5. doi:10.1097/INF.0b013e3181fefa1f. PMID 21183833. ^ US Center for Disease Control and Prevention (2008). “Delayed onset and diminished magnitude of rotavirus activity—United States, November 2007 – May 2008”. Morbidity and Mortality Weekly Report 57 (25): 697–700. http://www.cdc.gov/mmwr/preview/mmwrhtml/mm5725a6.htm 2012年5月3日閲覧。. ^ “Reduction in rotavirus after vaccine introduction—United States, 2000–2009”. MMWR Morb. Mortal. Wkly. Rep. 58 (41): 1146–9. (October 2009). PMID 19847149. http://www.cdc.gov/mmwr/preview/mmwrhtml/mm5841a2.htm. ^ Tate, JE; Cortese, MM, Payne, DC, Curns, AT, Yen, C, Esposito, DH, Cortes, JE, Lopman, BA, Patel, MM, Gentsch, JR, Parashar, UD (2011 Jan). “Uptake, impact, and effectiveness of rotavirus vaccination in the United States: review of the first 3 years of postlicensure data.”. The Pediatric Infectious Disease Journal 30 (1 Suppl): S56-60. doi:10.1097/INF.0b013e3181fefdc0. PMID 21183842. ^ Sinclair, D; Abba, K, Zaman, K, Qadri, F, Graves, PM (2011 Mar 16). “Oral vaccines for preventing cholera.”. Cochrane database of systematic reviews (Online) (3): CD008603. doi:10.1002/14651858.CD008603.pub2. PMID 21412922. ^ Alhashimi D, Al-Hashimi H, Fedorowicz Z (2009). Alhashimi, Dunia. ed. “Antiemetics for reducing vomiting related to acute gastroenteritis in children and adolescents”. Cochrane Database Syst Rev (2): CD005506. doi:10.1002/14651858.CD005506.pub4. PMID 19370620. ^ Tytgat GN (2007). “Hyoscine butylbromide: a review of its use in the treatment of abdominal cramping and pain”. Drugs 67 (9): 1343–57. PMID 17547475. ^ Canavan A, Arant BS (October 2009). “Diagnosis and management of dehydration in children”. Am Fam Physician 80 (7): 692–6. PMID 19817339. ^ Gregorio GV, Gonzales ML, Dans LF, Martinez EG (2009). Gregorio, Germana V. ed. “Polymer-based oral rehydration solution for treating acute watery diarrhoea”. Cochrane Database Syst Rev (2): CD006519. doi:10.1002/14651858.CD006519.pub2. PMID 19370638. ^ a b c d King CK, Glass R, Bresee JS, Duggan C (November 2003). “Managing acute gastroenteritis among children: oral rehydration, maintenance, and nutritional therapy”. MMWR Recomm Rep 52 (RR-16): 1–16. PMID 14627948. http://www.cdc.gov/mmwr/preview/mmwrhtml/rr5216a1.htm. ^ Allen SJ, Martinez EG, Gregorio GV, Dans LF (2010). Allen, Stephen J. ed. “Probiotics for treating acute infectious diarrhoea”. Cochrane Database Syst Rev 11 (11): CD003048. doi:10.1002/14651858.CD003048.pub3. PMID 21069673. ^ Hempel, S; Newberry, SJ; Maher, AR; Wang, Z; Miles, JN; Shanman, R; Johnsen, B; Shekelle, PG (2012 May 9). “Probiotics for the prevention and treatment of antibiotic-associated diarrhea: a systematic review and meta-analysis.”. JAMA: the Journal of the American Medical Association 307 (18): 1959-69. PMID 22570464. ^ Telmesani, AM (2010 May). “Oral rehydration salts, zinc supplement and rota virus vaccine in the management of childhood acute diarrhea.”. Journal of family and community medicine 17 (2): 79–82. doi:10.4103/1319-1683.71988. PMC: 3045093. PMID 21359029. https://www.ncbi.nlm.nih.gov/pmc/articles/PMC3045093/. ^ DeCamp LR, Byerley JS, Doshi N, Steiner MJ (September 2008). “Use of antiemetic agents in acute gastroenteritis: a systematic review and meta-analysis”. Arch Pediatr Adolesc Med 162 (9): 858–65. doi:10.1001/archpedi.162.9.858. PMID 18762604. ^ Mehta S, Goldman RD (2006). “Ondansetron for acute gastroenteritis in children”. Can Fam Physician 52 (11): 1397–8. PMC: 1783696. PMID 17279195. http://www.cfp.ca/cgi/pmidlookup?view=long&pmid=17279195. ^ a b Fedorowicz, Z; Jagannath, VA, Carter, B (2011 Sep 7). “Antiemetics for reducing vomiting related to acute gastroenteritis in children and adolescents.”. Cochrane database of systematic reviews (Online) 9 (9): CD005506. doi:10.1002/14651858.CD005506.pub5. PMID 21901699. ^ Sturm JJ, Hirsh DA, Schweickert A, Massey R, Simon HK (May 2010). “Ondansetron use in the pediatric emergency department and effects on hospitalization and return rates: are we masking alternative diagnoses?”. Ann Emerg Med 55 (5): 415–22. doi:10.1016/j.annemergmed.2009.11.011. PMID 20031265. ^ Traa BS, Walker CL, Munos M, Black RE (April 2010). “Antibiotics for the treatment of dysentery in children”. Int J Epidemiol 39 (Suppl 1): i70–4. doi:10.1093/ije/dyq024. PMC: 2845863. PMID 20348130. https://www.ncbi.nlm.nih.gov/pmc/articles/PMC2845863/. ^ Grimwood K, Forbes DA (December 2009). “Acute and persistent diarrhea”. Pediatr. Clin. North Am. 56 (6): 1343–61. doi:10.1016/j.pcl.2009.09.004. PMID 19962025. ^ a b Mandell, Gerald L.; Bennett, John E.; Dolin, Raphael (2004). Mandell's Principles and Practices of Infection Diseases (6th ed.). Churchill Livingstone. ISBN 0-443-06643-4. http://www.ppidonline.com/. ^ Christopher, PR; David, KV, John, SM, Sankarapandian, V (2010 Aug 4). 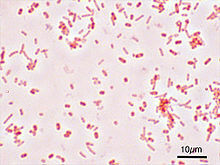 “Antibiotic therapy for Shigella dysentery.”. Cochrane database of systematic reviews (Online) (8): CD006784. doi:10.1002/14651858.CD006784.pub4. PMID 20687081. ^ Effa, EE; Lassi, ZS, Critchley, JA, Garner, P, Sinclair, D, Olliaro, PL, Bhutta, ZA (2011 Oct 5). “Fluoroquinolones for treating typhoid and paratyphoid fever (enteric fever).”. Cochrane database of systematic reviews (Online) (10): CD004530. doi:10.1002/14651858.CD004530.pub4. PMID 21975746. ^ Gonzales, ML; Dans, LF, Martinez, EG (2009 Apr 15). “Antiamoebic drugs for treating amoebic colitis.”. Cochrane database of systematic reviews (Online) (2): CD006085. doi:10.1002/14651858.CD006085.pub2. PMID 19370624. ^ Harrison's Principles of Internal Medicine (16th ed.). McGraw-Hill. ISBN 0-07-140235-7. オリジナルの2012年8月4日時点によるアーカイブ。. https://web.archive.org/web/20120804162006/http://books.mcgraw-hill.com/medical/harrisons/. ^ Feldman, Mark; Friedman, Lawrence S.; Sleisenger, Marvin H. (2002). Sleisenger & Fordtran's Gastrointestinal and Liver Disease (7th ed.). Saunders. ISBN 0-7216-8973-6. http://www.elsevier-international.com/catalogue/title.cfm?ISBN=0721689736. ^ Elliott, EJ (2007 Jan 6). “Acute gastroenteritis in children.”. BMJ (Clinical research ed.) 334 (7583): 35–40. doi:10.1136/bmj.39036.406169.80. PMC: 1764079. PMID 17204802. https://www.ncbi.nlm.nih.gov/pmc/articles/PMC1764079/. ^ Black, RE; Cousens, S, Johnson, HL, Lawn, JE, Rudan, I, Bassani, DG, Jha, P, Campbell, H, Walker, CF, Cibulskis, R, Eisele, T, Liu, L, Mathers, C, Child Health Epidemiology Reference Group of WHO and, UNICEF (2010 Jun 5). “Global, regional, and national causes of child mortality in 2008: a systematic analysis.”. Lancet 375 (9730): 1969–87. doi:10.1016/S0140-6736(10)60549-1. PMID 20466419. ^ Tate, JE; Burton, AH, Boschi-Pinto, C, Steele, AD, Duque, J, Parashar, UD, WHO-coordinated Global Rotavirus Surveillance, Network (2012 Feb). “2008 estimate of worldwide rotavirus-associated mortality in children younger than 5 years before the introduction of universal rotavirus vaccination programmes: a systematic review and meta-analysis.”. The Lancet infectious diseases 12 (2): 136–41. doi:10.1016/S1473-3099(11)70253-5. PMID 22030330. ^ World Health Organization (November 2008). “Global networks for surveillance of rotavirus gastroenteritis, 2001–2008”. Weekly Epidemiological Record 47 (83): 421–428. http://www.who.int/wer/2008/wer8347.pdf 2012年5月10日閲覧。. ^ Victora CG, Bryce J, Fontaine O, Monasch R (2000). “Reducing deaths from diarrhoea through oral rehydration therapy”. Bull. World Health Organ. 78 (10): 1246–55. PMC: 2560623. PMID 11100619. https://www.ncbi.nlm.nih.gov/pmc/articles/PMC2560623/. ^ Weese, JS (2011 Mar). “細菌性 enteritis in dogs and cats: diagnosis, therapy, and zoonotic potential.”. The Veterinary clinics of North America. Small animal practice 41 (2): 287-309. doi:10.1016/j.cvsm.2010.12.005. PMID 21486637. ^ Rousseaux, Wanda Haschek, Matthew Wallig, Colin (2009). Fundamentals of toxicologic pathology (2nd ed. ed.). London: Academic. pp. 182. ISBN 9780123704696. http://books.google.ca/books?id=vkox3JS83k8C&pg=PA182. ^ MacLachlan, edited by N. James; Dubovi, Edward J. (2009). Fenner's veterinary virology (4th ed. ed.). Amsterdam: Elsevier Academic Press. p. 399. ISBN 9780123751584. http://books.google.ca/books?id=TYFqlYO9eE4C&pg=PA399. ^ al. ], edited by James G. Fox ... [et (2002). Laboratory animal medicine (2nd ed. ed.). Amsterdam: Academic Press. pp. 649. ISBN 9780122639517. http://books.google.ca/books?id=m2ftfPMJnMMC&pg=PA649. ^ al. ], edited by Jeffrey J. Zimmerman ... [et. Diseases of swine (10th ed. ed.). Chichester, West Sussex: Wiley-Blackwell. pp. 504. ISBN 9780813822679. http://books.google.ca/books?id=jVaemau17J4C&pg=PA504. Dolin, [edited by] Gerald L. Mandell, John E. Bennett, Raphael (2010). Mandell, Douglas, and Bennett's principles and practice of infectious diseases (7th ed. ed.). Philadelphia, PA: Churchill Livingstone/Elsevier. ISBN 0-443-06839-9.